The first commercial direct flight from England to Tehran has landed on the tarmac on Thursday after a suspension of almost four years. London suspended flights to Iran in October 2012 due to deteriorating bilateral ties and to the instability that was marring the region. A spokeswoman for the British company said that “the Iranians have been extremely helpful in setting up this important new route and have been as keen as we are for the service to start.” It will become the second Western airline after Air France to resume direct flights to the Iranian capital this year since the nuclear agreement was reached with the so-called P5+1 in 2015. 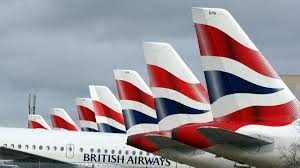 The BA spokeswoman described the return to the Iranian skies as “an important destination” for the company that will be doing six return flights per week from the Heathrow Airport with plans to make daily take-offs before the end of the year. The resumption of the flights sends a positive message regarding the improving ties between Tehran and London. In August last year, the British embassy reopened after it was ransacked by a mob in 2011. Iran’s domestic airlines are however still struggling to make an impact in the international civil aviation sector because most of their fleets are old amid difficulties to acquire spare parts from companies like Boeing due to U.S. sanctions. Written by: Jaber Ali on September 1, 2016. Posted by Jaber Ali on Sep 1 2016. Filed under Gulf News, Headlines. You can follow any responses to this entry through the RSS 2.0. Both comments and pings are currently closed.